4* Oman Air offer fairly priced return flights from Milan Malpensa to Kathmandu, the capital city of incredible Nepal! The airline has released new set of discounted flights on this route now offering roundtrip tickets from €447. This is including all taxes and fees, meals nad checked luggage. Flights may require longer layover in Muscat on your inbound. Consider multi-city tickets and visit two nations at once! You can refer to classic return as well as multi-city bookings below in this article..Please check what is the weather like especially if you would stick to travel dates around summer holidays as it is consider as off season.. If interested in this discount deal with Oman Air you will find the cheapest flights when departing from Milan to Kathmandu in May and June, September or second half of November to beginning of December 2019. Min stay 5 days. Max stay 3 months. One free stopover available. Including two bags in hold max 15kg each. Fare class is “O“. Oman Airpromo sale is running till 12th of April or until sold out..
We recommend you firstly compare the cheapest flights via Google Flights (Guide). The tool gives you almost instant result and you can easily browse throughout all the months. You can then book this deal directly with Oman Air or your preferred booking agent. If interested in this offer you can refer to our booking samples below. 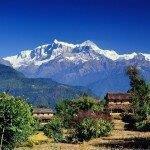 You can book your accommodation in Kathmandu, Nepal via Booking.com. Also you can further discount your hotel when using one of following promo codes. Booking sample of Oman Air cheap flights from Milan to Kathmandu, Nepal from €447 roundtrip! You would depart from Italy to this incredible country in Asia on 5th of May. Your inbound flight from Kathmandu back to Milan Malpensa on 21st of May 2019.